Vector graphics of vintage floral sketches. 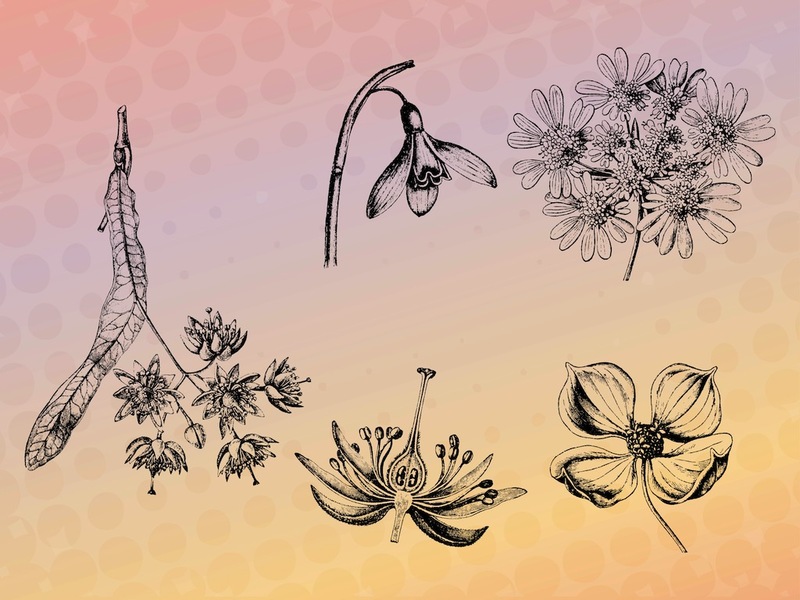 Detailed hand drawn illustrations of various kinds of plants: flowers, leaves, blossoms and sketches showing details of the parts of the plants. Free vector illustrations for all nature, plants, flowers, floral, botanic graphics, science, discoveries and ecology projects. Tags: Botanic, Detailed, Floral, Flowers, Leaves, Petals, Sketches.